The Yonkers Public Library offers free wireless internet service in all its three branches. Simply start your device, choose the library network (YPL Riverfront Library for Riverfront, YPL Will Library for Grinton I. Will, YPL Crestwood Library for Crestwood), and then launch your web browser which will take you to rules and regulations page that you must accept. Once you click on that, your computer’s home page will appear. Wi-Fi access in the Riverfront Library and Crestwood Library is available throughout the buildings. In the Will Library it is available in the Main Reading Room area and Young Adult/Fine Arts area. Each B&W page costs 15 cents. The Library’s network is not secure. Information sent from or to your laptop could be captured by someone else with a wireless device and the appropriate software. Do not access or send sensitive business, financial, or personal information on a wireless network. Signal strength may vary from time to time or in different areas of the Library. You are responsible for virus and security protection on your own wireless device. The connection may not be used for any illegal or commercial activities. If an inappropriate or offensive image or text appears on your workstation, and it is visible to other patrons, you will be asked to remove it. Patrons may be asked to limit their time if others are waiting. Only five simultaneous users can be accommodated at any one time. 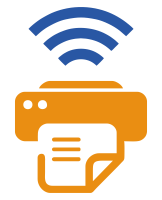 The library assumes no responsibilities for damage to equipment, software or data files resulting from connection to the Library’s network. Library staff is not able to provide technical assistance. The library cannot guarantee that service will be available at any specific time. Signal strength may be affected by bandwidth use by other users.